Passionate about sports betting? 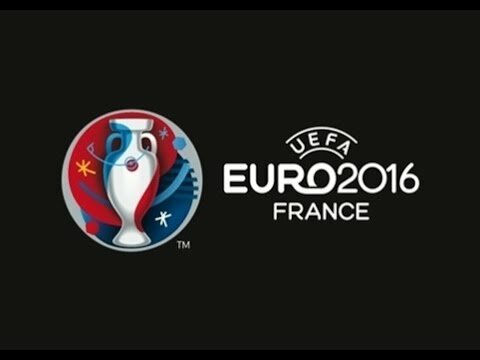 Tipsxpert.com provides your daily free betting tips and a collection of the latest Premier League news ! 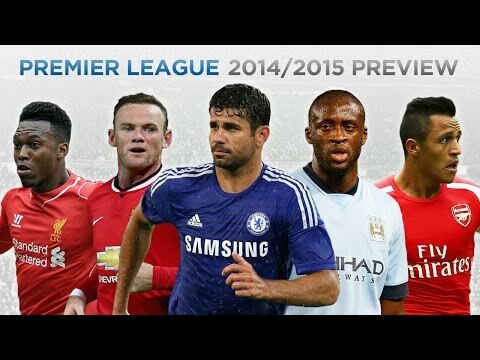 Premier League 2014/2015 Preview: Predictions! Manchester United, Chelsea and Liverpool have avoided Premier League opposition in the FA Cup fourth-round draw. Defending champions United thumped Reading 4-0 to earn a place in the hat and they will entertain Championship side and 2012-13 winners Wigan Athletic. Philippe Coutinho is set to return to Liverpool's squad for the first leg of their EFL Cup semi-final against Southampton. Liverpool travel to St Mary's Stadium on Wednesday and should be able to call upon the attacking midfielder for the first time since November 26, when he suffered an ankle injury in the home Premier League win over Sunderland. Sergio Aguero lauded the "incredible" Lionel Messi as the world's best, insisting his Argentina team-mate produces what no-one else can. Barcelona star Messi is joined by Cristiano Ronaldo and Antoine Griezmann on a three-man shortlist for The Best FIFA Men's Player 2016. Despite the lures of the lucrative MLS and Chinese Super League, Manchester United manager Jose Mourinho said evergreen striker Zlatan Ibrahimovic will bow out of the game at Old Trafford. Jay Rodriguez netted a brace as Southampton came from behind to win 3-1 at Bournemouth in the Premier League's south coast derby on Sunday. Claude Puel's Saints have struggled for goals of late, netting just once in their previous three league games, but strikes from Ryan Bertrand and Rodriguez, twice, secured victory at the Vitality Stadium. Arsenal came from behind to record a 15th consecutive home win over Stoke City as Arsene Wenger's side moved top of the Premier League on goals scored with a 3-1 victory. The hosts climbed above Chelsea, who face West Brom on Sunday, but had to do it the hard way at Emirates Stadium as they made it 14 top-flight games unbeaten. Bournemouth captain Simon Francis has had his three-match ban upheld after the Football Association rejected an appeal against what he claimed was a wrongful dismissal in Tuesday's 3-3 draw with Arsenal. Leicester City only suffered three defeats en route to last season's Premier League title. But it was one of those losses – a heart-breaking stoppage-time reverse to title rivals Arsenal in February – which made Claudio Ranieri believe a shock title win was really possible. Criticism of Manchester City manager Pep Guardiola has been nothing compared to what Arsene Wenger experienced when he first arrived in England, the Arsenal boss insisted. Stefano Okaka scored twice as Watford came from behind and held on to consign Everton to a sixth successive winless Premier League away match with a 3-2 triumph at Vicarage Road. Wayne Rooney returned to Manchester United training on Thursday after missing three matches over the festive period due to injury. The United captain last played in the 2-0 victory at West Brom on December 17, helping them to a 2-0 win before sustaining a thigh strain in training. West Ham have been linked with a move for Jermain Defoe, but Sunderland boss David Moyes has no intention of selling the striker. Sunderland are 18th in the Premier League, with Defoe integral to their hopes of survival having scored eight top-flight goals this season, attracting interest from his former club as a result. Manchester City manager Pep Guardiola admits the physical nature of the Premier League has surprised him and he feels Chelsea are the only other team trying to build play from the back. Manchester United's squad is "more than capable" of challenging for the Premier League title, according to Marcus Rashford. United are seventh in the table after playing six matches of the 2016-17 league campaign, having made an inconsistent start to life under new manager Jose Mourinho. Pep Guardiola has stressed Manchester City are only behind Manchester United when it comes to silverware, and is adamant they have at least been on par with their arch-rivals in recent years. Claudio Ranieri had a 2016 to remember, with Leicester City winning the Premier League to shock the world. The Italian has different goals in mind for 2017, with the need to secure top-flight safety his main priority, while overcoming Sevilla in the last 16 of the Champions League would be a "dream". Antonio Conte has stressed Chelsea are not unbeatable irrespective of their good run of form and believes a defeat at some stage is inevitable. Jose Mourinho has insisted Wayne Rooney will remain Manchester United captain despite losing his place in the first team at Old Trafford. Rooney was dropped from the starting XI for last week's Premier League win over Leicester City and also started from the bench in the Europa League game against Zorya Luhansk. Chelsea head coach Antonio Conte praised his team for their "incredible" first half of the season, but knows tougher tasks await with the spotlight on them. A 4-2 win over Stoke City on Saturday saw Chelsea extend their streak to 13 consecutive league victories. Jose Mourinho thinks fans in France should be happy Zlatan Ibrahimovic chose to leave Paris Saint-Germain because "now they have a league". The 35-year-old joined Manchester United on a free transfer ahead of the 2016-17 season, ending a glittering four-year stay with PSG that saw him win Ligue 1 in every campaign. Antonio Conte has hinted that Chelsea have received an "amazing offer" for Oscar, with the Brazil playmaker nearing a move to the Chinese Super League. Shanghai SIPG are reportedly prepared to pay €60million for Oscar and make him the highest-paid player in the world. Antonio Conte praised his Chelsea side's work ethic after they claimed a first Premier League victory since August at Hull City on Saturday. Well-taken goals in the space of seven second-half minutes from Willian and Diego Costa secured a 2-0 win at the KCOM Stadium. Arsene Wenger still remembers previous meetings with Sam Allardyce, and "very cruel" results, as Arsenal prepare to face Crystal Palace in the Premier League. Allardyce was named Palace manager on December 23, replacing Alan Pardew, and his second match in charge is a trip to the Emirates Stadium on Sunday. Manchester City boss Pep Guardiola is still adjusting to English football, according to defender Gael Clichy. Guardiola's men have won their last two matches against Watford and Arsenal, but still sit third in the Premier League and seven points adrift of leaders Chelsea ahead of their Boxing Day game at struggling Hull City. Jose Mourinho has lauded the in-form Zlatan Ibrahimovic as undroppable and a "great example" to his Manchester United team-mates. The Swede has scored eight goals in his last eight matches to help United progress in the Europa League and EFL Cup, as well as keep them in touch with the Premier League's top four. David Moyes' search for a first Premier League win in charge of Sunderland continues but Patrick van Aanholt's late goal rescued a welcome 1-1 draw at home to West Brom on Saturday. Jurgen Klopp pondered whether Liverpool are irritating Chelsea after they maintained their pursuit of the Premier League leaders with a 1-0 win over Manchester City. Sadio Mane's dramatic injury-time winner helped Liverpool keep pace in the Premier League title race and earn the Merseyside derby bragging rights in a 1-0 win at Everton on Monday. Jamie Vardy ended his club goalscoring drought in style with a hat-trick on Saturday, as Leicester City rediscovered their Premier League title-winning form to defeat Manchester City 4-2. Dimitri Payet's stunning solo goal salvaged a point for struggling West Ham as they ended a run of four consecutive Premier League defeats in a 1-1 draw against Middlesbrough at London Stadium. Cristhian Stuani's second-half header put the away side ahead and had the home fans fearing a fifth defeat on the spin in Saturday's contest. Pep Guardiola wants his Manchester City players to forget about the Premier League title for the time being as they face a huge deficit to leaders Chelsea. Georginio Wijnaldum scored the only goal after eight minutes as Liverpool battled to a 1-0 win over City in a game of few chances at Anfield. Goodison Park and the Merseyside derby against Everton hold no fears for Liverpool manager Jurgen Klopp, who insists his team will not collapse like Arsenal. Premier League title hopefuls Liverpool head to Everton on Monday after Arsenal were bullied by Ronald Koeman's men in a 2-1 defeat midweek. Alan Pardew may have earned another stay of execution after Fraizer Campbell snatched a 3-3 draw for Crystal Palace at relegation-threatened Hull City in the Premier League. The hosts had been in front at the break courtesy of a contentious Robert Snodgrass penalty at a sparsely populated KCOM Stadium. Isaac Success came off the bench to rescue a point for Watford as they twice came from behind to secure a 2-2 draw with Bournemouth in a lively clash at Vicarage Road. Success headed home a pinpoint cross from Jose Holebas just after the hour to secure a point that keeps both sides locked together in the Premier League table on eight points. James Milner said Liverpool delivered their worst performance of the season against former club Manchester City, despite striking a blow in the Premier League title race with a 1-0 win. Georginio Wijnaldum's first-half header was enough to seal three points for the Reds at Anfield and keep them in touch with runaway leaders Chelsea. Manchester City climbed above Arsenal into second in the Premier League after coming from behind to beat the Gunners 2-1 on Sunday. A first goal for the club from Leroy Sane and Raheem Sterling's strike gave Pep Guardiola's side a much-needed victory and condemned the visitors to a second defeat in a row. Burnley ended a run of three consecutive Premier League defeats with a hard-earned 3-2 victory over Bournemouth at Turf Moor. Gary Cahill concedes Chelsea lost their way tactically under Jose Mourinho, but believes the team is making great strides under Antonio Conte to overcome last season's "disaster". Liverpool strengthened their grip on second place in the Premier League by closing out 2016 with a hard-earned 1-0 victory over fellow title aspirants Manchester City. Danny Rose's fierce second-half effort secured Tottenham a hard-fought 2-1 Premier League win over Burnley to take full advantage of Arsenal's defeat at Manchester City. Fernando Llorente scored twice as Swansea City moved out of the Premier League relegation zone and eased the pressure on manager Bob Bradley with a 3-0 win over fellow strugglers Sunderland. Juventus chief executive Giuseppe Marotta said the Serie A champions never wanted to sell Paul Pogba but the French midfielder asked to leave. Pogba, 23, left Juventus in favour of a return to Manchester United in a world-record transfer in August.